Following the Union Balldance of the last 12 months, another union has finally joined the party - SARU. The PRO12 league is gone with Martin Anayi's announcement of a global club championship involving conferences of teams from five unions with the potential for more to be included. At first glance, it looks like a smart play - albeit somewhat fortuitous with SARU having to shed two teams from the Super Rugby competition. It brings together a lot more viewers that are attractive to media companies and business sponsors. Celtic Rugby Ltd still owns the competition with just its three founding shareholders - IRFU, SRU and WRU. No club or franchise owners involved. FIR failed to meet the required performance that would have made them shareholders at the beginning of July. And SARU weren't persuasive enough to get their seat at the table just yet. Rumours of a new company being set up failed to materialise. But they still signed up to a six-year agreement with £6m in funding each year. It's not clear if this money is coming from SARU or directly from SuperSport, their broadcast partner. It is SARU who have signed the agreement to provide two teams so presumably the financial buck stops with them. It's more likely the £6m is a participation fee paid by SARU, similar to what FIR was charged when it joined in 2010. Media reports have said that the monies will be split equally amongst the 12 teams with travel and logistics costs for SA trips met centrally by Celtic Rugby Ltd since these will vary for clubs depending on whether they play one or both teams in SA. Next on Anayi's agenda is the negotiation of a new media deal involving PPV and terrestrial TV, and online platforms. SuperSport may have already got their slice - all 20-22 home games involving Cheetahs and Kings plus some/all of the finals stages. Or perhaps not. Sky and possibly other PPV broadcasters such as Eir Sport may be willing to bid more to be the primary broadcaster for a higher profile, expanded Championship. But Anayi will want to keep a slice for terrestrial TV since they have a much better viewership reach. The current deal is for four years. Would a six-year deal be a better strategic move to guarantee increased revenues for a longer period? It would link in with the duration of the SARU agreement. And it would outlast the current participation agreement for the European Cup run by EPCR. Further expansion is obviously the other key consideration with possibly other teams from SA, US and Europe coming on board. The danger is that Celtic Rugby goes too far and repeats the mistakes of Super Rugby. Better to build slowly to see if they will still come. The coming season will be a fascinating one to see how the new structure and Championship beds in. Will attendances increase? Will there be more surprise results and potentially another new team to lift the cup next May? Interesting. World Rugby must have out of date information. What's your source for the two lists, LD? There you go. Here is Scotland's teams. 127 of them. I suggest Pot Hale checks when that census was undertaken. Pot Hale wrote: Interesting. World Rugby must have out of date information. I just checked the rugby clubs by country, and put them into an excel spreadsheet whenever I found them, it was a little harder to do with Ireland due to it being two countries and all under branches. It was a bit like pulling teeth but I got there in the end, also, my lists may not be 100% as some clubs could have folded or new ones might have cropped up during the off season and the interweb might not have been updated. But at least I have named them all for you. Pete330v2 wrote: "There you go 110 rugby clubs in Ireland, so I was right, Wales has three times the clubs as Ireland has with half the population." What percentage of that population are followers of the oval ball though? I would imagine that World Rugby has the more accurate information. Riiiight. 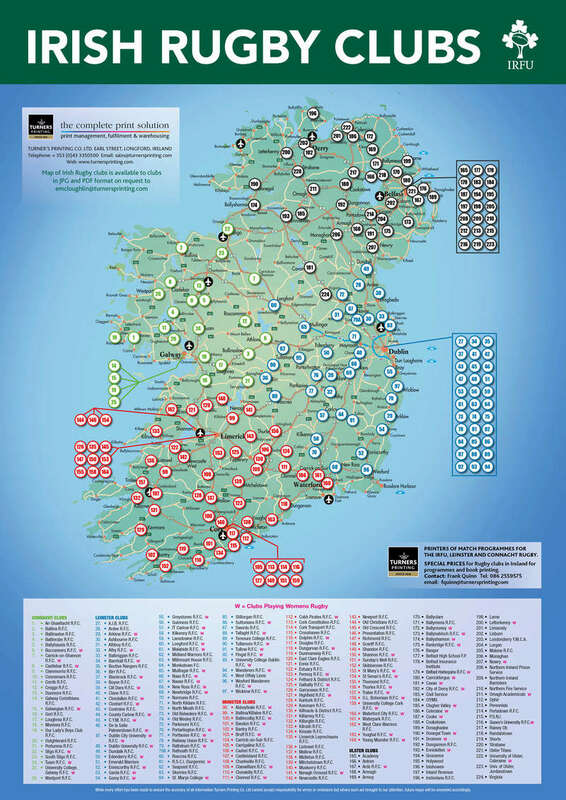 And what websites did you visit to get this information on the Irish clubs? mikey_dragon wrote: I would imagine that World Rugby has the more accurate information. Feel free, go through my lists and tell me any I might have missed out. I have named all the clubs mikey. LordDowlais wrote: Feel free, go through my lists and tell me any I might have missed out. Where did you get the lists from? What websites? There you go 110 rugby clubs in Ireland, so I was right, Wales has three times the clubs as Ireland has with half the population. I wish people would stop trying to be overly too clever on here just to win the internet. Remember Pot, it's rugby clubs, not sports clubs or GAA clubs. Yes - I know it's Rugby clubs which is why I referenced World Rugby as the source for the info. They don't compile info on sports clubs or GAA clubs. The IRFU lists 224 Irish clubs so I think they'd be more reliable than your cut and pasting efforts. If you had bothered to read what I actually posted you would have seen that I said there were 2,500 GAA clubs and over 1,000 soccer clubs. Well, if you like, and you want to prove me inaccurate, check my lists for Ireland and Scotland and tell what clubs I have left out. I am all for being educated on here. LordDowlais wrote: Well, if you like, and you want to prove me inaccurate, check my lists for Ireland and Scotland and tell what clubs I have left out. Where did you get your list from? I already posted the link to the IRFU one with 224. I don't know why they all needed to be named, Dowlais. Luckless Pedestrian wrote: I don't know why they all needed to be named, Dowlais. The way this place is, you have to be thorough. But no one was asking for a list of all the clubs. Dowlais couldn't read the above image and said there were lots of duplicates in it. Pot Hale wrote: Dowlais couldn't read the above image and said there were lots of duplicates in it. There is a discrepancy with the figures quoted here, so who is right, the IRFU or World rugby ? Your two quotes do not tie in with each other. Just list the websites you used jeez. Luckless Pedestrian wrote: But no one was asking for a list of all the clubs. Headscratch away. You deleted the post. Anyway - I presume you can read the list from IRFU rather than the partial one that you copied directly from Wikipedia Commons. So 224 in Ireland and 251 in Scotland, 290 in Wales. Certainly not three times the amount as you stated. You didn't respond to the query about Wales being a rugby hotbed because all rugby fans support the national team. Are you claiming that rugby fans in other countries don't support their national team? That's what I already posted, you cheeky Connacht git! Now he's saying there's a major discrepancy between 221 and 224. 300 odd clubs in Wales - and counting down. Pot Hale wrote: Now he's saying there's a major discrepancy between 221 and 224. You really are getting yourself into a tiz here aren't you ? I was only stating that the information provided did not add up, and one of them must be wrong as you were using the world rugby info as a tool to prove me wrong with. Look I do not care, I just checked the league systems in each country and got the teams from there, I told you it might not be accurate, but you are one of these obsessive, compulsive people on here who always needs to be right otherwise you cannot sleep at night. Look if it troubles you that much, you are right, I am wrong. Now breathe, this place is not worth that much hassle to your well being. you are right, I am wrong. .
Ok - I'll let you off this once, LD. Just bring facts and sources the next time please. Reserve teams also play in the league, as well as youth sides of CUT and UFS. 1 NWU Pukke play club rugby in the Golden Lions Pirates Grand Challenge. 2 Klerksdorp and Vaal Reefs play club rugby in the Valke Peregrine League. 3 Rustenburg Impala play club rugby in the Blue Bulls Carlton League. Feck me, that's a list and a half that is. Don't let luckless see that, he wont be happy. There you go Pot Hale. We have both been blown out of the water. Now you're just showing off, Biltong! You're on your own there LD. I didn't start putting out lists of teams. Mind you, I'm intrigued by a SA rugby club that simply calls itself Delicious. I like it. It's so good it appears twice. Popular club name in SA, Bilt? Guinness PRO14 chief executive Martin Anayi admits he ‘would never rule out’ a deal that would see games exclusively aired on satellite television when the current contract expires at the end of this season. Amid what is being viewed as a new dawn for the league, with South African teams Cheetahs and Southern Kings joining the newly-expanded PRO14, Anayi revealed there will be changes to the current TV status quo. As things stand, games are currently shared across Sky Sports, regional BBC channels, S4C and TG4 in a deal that brought in around £11.6 million last season. The South African teams coming on board have boosted that to the tune of £6 million but the league still lags significantly behind the Aviva Premiership that has a deal worth in the region of £42 million, and the French Top 14, whose contract with Canal + is worth around £75 million. But that is set to change, with Anayi suggesting there may be some mileage in the theory that crowd figures would grow if games were not so readily available on TV. “I already know there is (going to be a radical change to the TV deal),” Anayi said. “It’s working. What we’ve created is a tournament that has a renewed vigour, has teams from five tier one nations in it to ensure that more international players come through. “The broadcasters and the sponsors and so on have reacted well to that. “All options are on the table because the most important thing is that we allow our clubs to be competitive on the pitch and that means you have to generate as much revenue as possible off it. “That’s both from fans coming through the gate and also from television or sponsorship and all other revenue streams that we are producing centrally for them. Any changes to the current deal would be born out of the never-ending quest to increase the revenue coming into the league and its teams. More money is always welcome as the PRO14 looks to bridge the financial gap between the cross-border competition and the English – that will broadcast some live games on terrestrial TV for the first time this season – and French leagues. Anayi added: “There is a tipping point where that makes it easier to watch on TV than to actually go to the game itself. “There might be a re-balancing of that. As a competition that now encompasses five nations, Anayi also admitted that the approach to a new deal may vary in different territories, pointing out that a blanket approach may not be the best way to go about things. He used Ulster as an example of the current TV deal working in harmony with other digital output to increase interest in the province, with more people than ever consuming games. “When I first came in, I thought there has to be something in fully free-to-air and crowds that aren’t growing as fast as I want them to grow. “But actually, it’s market by market. If you go to Belfast on a Friday night and, you see it from our statistics, there are more people than ever watching on linear TV. “There are bigger crowds than ever coming through the gate and there’s 39,000 people watching on the iPlayer. It’s growing every week. “That would suggest it’s got to be market by market, you can’t take one approach for all. That is a situation where the broadcaster, the radio station, the online platform is helping to grow the number of actual people through the turnstiles. “So you wouldn’t want to do anything centrally, a blanket approach that cuts them off and they suddenly can’t make as much money and revenue as they could have before. “But it might be different in Wales, so we might have to look at it in a different fashion. When pressed on the risk of alienating fans by going exclusively to satellite television, Anayi also revealed plans to invest further in the league’s digital and social media platforms. The NFL was used as an example of a sport breaking new ground on social media. As well as a huge TV deal, there was also a multi-million dollar deal in place with Twitter last season, where they broadcast Thursday night games on the social media site for the very first time. The PGA Tour has also broadcast on the site and Anayi insisted that the league must try something similar in order to reach new fans and continue to engage with existing ones. “The NFL is a good example,” he said, “they’ve got a multi-billion dollar TV contract but they’ve also done a $10 million deal with Twitter. “So you’ve got the ability and if the NFL can do it then we can do it. Perhaps not the 10 million but the same principle applies. “We’re investing more in our digital. “We’re bringing hawkeye in on medical and judicial but it has a social media aspect to it as well. “The more we understand what our fans want to see, but also people that aren’t currently fans want to see, there is a multiple of things that somebody who is below 20 can go and do. “And it just happens that rugby has a much higher demographic age band than, let’s say, Netball or other sports out there that are targeting purely a younger audience and are growing. “We’re growing but it’s at a single-digit rate, we should be growing at a double-digit rate. “The best way to do that is to go after a new fan who isn’t currently engaged with your product. “I very rarely watch a full game from start to finish live on terrestrial TV. I watch it on the iPlayer, I watch the highlights, I watch it on social media. “I do that for every sport I’m interested in. It’s how I consume Super Rugby. As soon as it comes out, it’s on Facebook. It’s a great way to interact with any audience but also a new audience. I think the Pro 14 is establishing itself as the league to watch in the Northern Hemisphere, the last 3 editions were absolutely terrific with Glasgow, Connacht and Scarlets winning it in epic fashion, playing high tempo exciting rugby. A winning brand rugby that we saw at the RWC 2015. With Cheetahs and Kings, they have possibly added the 2 most exciting teams from SA and i'm glad to see Kings have put together a decent and exciting squad. Arguably, the Italian sides are holding the competition back but that could change next season and surely a new TV deal has to be in order. VinceWLB wrote: I think the Pro 14 is establishing itself as the league to watch in the Northern Hemisphere, the last 3 editions were absolutely terrific with Glasgow, Connacht and Scarlets winning it in epic fashion, playing high tempo exciting rugby. A winning brand rugby that we saw at the RWC 2015. I am hoping the Kings gel quickly enough to make an impact this season, unfortunately for them it is going to be tough with virtually a brnd new squad. What is a real shame is the fact that they lost their star player of Super Rugby , Lionel Cronje. He was one of the leading fly halves in the comp this year, very adept at controlling territory and getting his back line away. Also very accurate of the tee. Sadly he has gone to Japan. The Japanese season finishes at the end of January, is Cronje just signed up in Japan for their season to return to SA to play after like some players or has he gone long term? It is not clear whether he will join the Kings, he said he would like to join the Kings again but there is no clarification about it yet. A nice little promo vid here for the Pro14, to whet the appetite. Nice! The Guinness PRO14 Fantasy Rugby game returns for 2017/18 season after its successful introduction in 2016 attracted thousands of fans from across the Championship. Fantasy coaches will now have even more players to choose from after the introduction of the Toyota Cheetahs and the Southern Kings from South Africa ahead of an historic season for the Guinness PRO14. The game is now open so that Fantasy Coaches can register their teams, and in order to provide fans from across the world the best opportunity to win, scoring will not begin until Round 2. Round 1 provides the perfect chance to scout out which players are set to be the biggest fantasy points scorers, which teams could pack the biggest punch, and who could prove be the bargain of the season. Round 2 will see the game scoring begin with the aim of allowing everyone interested to register their team in time, after the 2017/18 season game was launched on September 1. Just set up my team - I bet they all score now as the points don't count yet! As a neutral to this discussion, I am not sure to understand why the number of rugby clubs is relevant... surely it should be more about quality than quantity even for strictly amateur rugby. Whilst the Force appear to have lost their legal case to stay in Super Rugby, two more SA teams have indicated interest in joining the PRO14 Championship at the first opportunity. Whilst SARU is tied into the current SANZAAR TV deal until 2020, it makes for some longer-range planning to be done now in terms of playing contracts, potential TV deals, marketing, corporate interest, etc. And, if the PRO14 has an optimum size cap of say 16 teams for the next few years, then better that the remaining two slots go to SA teams rather than experimental ones from USA, Canada or Europe. Jurie Roux has indicated a split of potentially 8 SA teams being developed if they believe they have the depth available. SARU want to remain in Super Rugby for the time being and in the four nations rugby championship. The rumour mill has it that both the Lions in Jo'burg and the Durban-based Sharks are the ones showing the most interest. And if the European Cup opens up as an option next year, greater urgency may be required.